Hit ‘roguevania’ Dead Cells is soon to receive a substantial free DLC update across all platforms. Developer Motion Twin has been working on the pack for nine months and, although the base game is complete, it’s looking to add some more flavour and provide explanations and a ‘proper conclusion’ to the story with this free download. The video above from Red Bull Gaming provides a few hints at what to expect, but mainly chronicles some fascinating details about the game’s development and the team that created it. Motion Twin has been a going concern for 18 years, but previously to Dead Cells it was making casual, free-to-play titles. The pivot to making core games was a difficult decision to take, as the video details, but it’s certainly paid off. The 12-minute video also looks at the culture at the small Bordeaux studio; the team has no hierarchical structure, with each member receiving the same salary and every decision going through a democratic vote before moving ahead. It’s an intriguing approach to making a game and the results speak for themselves. There’s no solid date on the DLC just yet, but it’ll be playable at next month’s PAX East and the video shows the team spitballing ideas for their next project now that Dead Cells is finally complete, so we shouldn’t have too long to wait. Are you looking forward to this DLC or have you yet to sample the delights of Dead Cells? Let us know below. Great game!! And soon to be great free DLC!! That’s cool, I guess. I’m one of the rare people who didn’t think this game was worth the massive quantities of praise it got, but I paid like $25 for it so maybe I’ll give this dlc a shot so I can feel more like I’ve gotten my money’s worth. 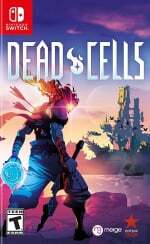 @BAN I agree, I feel Dead Cells lacks variety after a while. I hold Enter the Gungeon as the finest in these types of games and genuinely one of the greatest games ever made, no two runs ever feel the same where as in Dead Cells, to me they definitely begin to really repeat and drag - I still managed to put about 50 hours into it though so it’s a good game but I’m suprised how many stuck with it for hundreds of hours with it being pretty repetitive. Can't wait, love doing run-throughs. I put quite a lot of hours into Dead Cells and I still haven't managed to complete it. Be interesting to see what the DLC adds to the base game though. How is it better in your opinion? Just wondering as I just bought that game as well but haven't played it yet. Along with Enter the Gungeon and The Binding of Isaac, Dead Cells is a wonderfully accomplished title and comfortably one of the best roguelikes on Switch to date. As a huge fan of the genre, I’m still hopeful that Vlambeer will bring the fabulous Nuclear Throne to the eShop before too long. Between the Vita and PS4 versions, I’ve comfortably sunk over 350 hours into the deceptively deep twin-stick, which – despite the emergence of the likes of Dead Cells – remains my go-to roguelike. Though it must be said that Spelunky runs it pretty close! Still slightly in awe of the feel of this game. The world is full of roguelike action platformers but I'm not aware of another one that makes smiting your enemies quite so satisfying. @Amrulez the first thing that appeals to me is the hand drawn animation, everything runs so smoothly and while the screen can become chaotic it's easy to navigate the battles compared to dead cells. The bosses are fantastic, the story is great with out being obtrusive, the antagonist is fascinating, the abilities are great although not groundbreaking. And i love the fact there are 2 different sets of abilities that you have the choice of choosing, with a different ending and last boss for each. You can go one of 3 different routes depending on your choices. I started a second playthrough immediately after completing it for the first time as I just wasn't ready to quit playing, and that was after it took me 12 hours the first time around. Can't wait. I have a semi-toxic relationship with this game now, playing for hours and hours even though I've seen most of what it has to offer. It's a sad compulsion. DLC will allow me to continue my behavior pattern without feeling like I am stuck in a dead-end relationship. Who said games are an escape from real life? Free DLC is always Nice! My son will read this so I will say it for him. I wish the complete game was on the physical version ! !